Why are there so few women in the transport industry today? It’s a man’s fleet world. For now. Government national career service figures for the UK show that 70 per cent of those working in senior roles in fleet management are currently men. With the exception of Hilary Devey and Nikki King I would challenge anyone to name many more female senior executives within the fleet and logistics industry. And why do we know them? Both gained notoriety thanks to burgeoning TV careers rather than the rightful recognition they deserve for their impact on company balance sheets. Their male counterparts would certainly not have had to turn semi celeb to receive the same plaudits. They are anomalies in the male dominated world of transport. But with a CBE and an OBE for services to the road transport industry under their belts, they have hopefully carved a path to empower women, and have shown that it’s not just men that can make it in motors. Not only did King turn around the profits at Isuzu but her impact on the whole company ethos is immeasurable. With senior management positions filled by over 50 per cent of females, obsessive about the award winning after care service she introduced and fiercely protective of supporting working mums, the now retired King has left her legacy for years to come. Meanwhile Devey revolutionised distribution systems in the UK by devising a solution to transport small consignments of palletised freight quickly and cost-effectively. Sounds simple? It was anything but. Turned away by banks to finance her venture, in true entrepreneurial spirit, selling her house, downgrading her car and even going without a Christmas dinner for her and her son were just some of the sacrifices she made. Pall-Ex now has a turnover approaching £100m. Those bankers may now be eating their words. In February, US leasing giant Ryder System started offering a “female-friendly” truck lease package that includes specs designed to meet the needs of female drivers, such as adjusted height and placement of cab grab handles, adjustable seatbelt shoulder straps, improved placement of dash cluster gauges and better access to oil and coolant checks and fill ports. Does this make it a more attractive career option for women or just an excuse for ridicule in a male dominated workplace? Time will tell if it catches on in the UK. Watch this space. 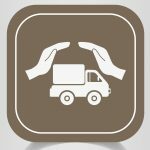 When an opportunity arises at whatever level, from HGV driver to CEO, from road to board, it should be ability and attitude that dictates who gets the job – not the gender of the applicant. But opportunity is where part of the problem lies; females are still playing catch-up. After years of playing nurse, not doctor at nursery; being encouraged to take art and humanities at university, not science, engineering or business; a lack of female role models prevalent in the fleet industry; poor careers advice; and fear of being the odd one out, women are only just starting to dip their toe in the oil slicked water of a career in fleet and motoring. Are women drivers actually better? Driver training company Drivers Domain UK argues that women are better drivers as they tend to have a higher level of strategic skill then men, based on the way their minds are hard-wired. Although, they claim, women are generally not technically better than men, the fact they think of the consequences of their actions and take fewer risks means they are involved in fewer accidents particularly ones involving fatalities. While (mainly younger) male drivers are well co-ordinated and have strong spatial awareness and quick reactions, female drivers see the potential dangers and consequences of bad driving more than others. The statistics back this assertion up. The insurer Sheila’s Wheels’ original business proposition was rooted in the fact that insurers – until the recent Equality Act stipulations – could offer lower premiums to women drivers because they had a lower risk profile. 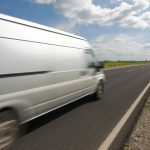 A Government report from October last year showed 721,156 (3.3 per cent of all female GB licence holders) had points on their licence for speeding. The figure is double for men – 6.6 per cent (1,625,211 of all male GB licence holders). Furthermore, an independent survey found that 57 per cent of male drivers have been involved in a crash, compared to 44 per cent of women and 46 per cent of men had what was described as a ‘close call’ with a cyclist or pedestrian, compared to 35 per cent of women. Surely this sends out a message loud and clear to potential employers? Women should not be overlooked for previously male dominated ‘on the road’ positions. Less accidents, fewer fatalities, improved company profile, reduced repair costs, increased credibility, greater fuel efficiencies… the rewards are there to be reaped. What do you think? Join the debate and add your comment below. Tracy Jesson, Marketing and Business Manager at ABP Club. The ABP Club is seen as a major influence and information source for the vehicle body repair industry and has over 2500 members from all sides of the industry. The club’s two guiding principles are: Community – each year holding a range of top industry events and; Communication – a well utilised and growing website and daily e-newsletter, which continues to influence the market. 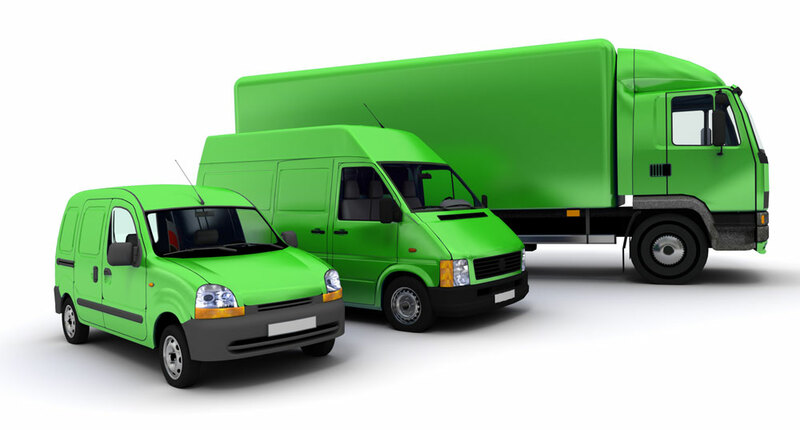 An efficient fleet is essential if you want your business to keep costs down and customers happy. But how do you actually make your fleet operate at its best? Find out in our new visual white paper. if you think about it, companies have it wrong as women drivers are cheaper to insure than men which means a woman drives better than a man. You’d expect women to get the jobs with these facts. I believe we’re talking about women working in a senior position not the driving position.